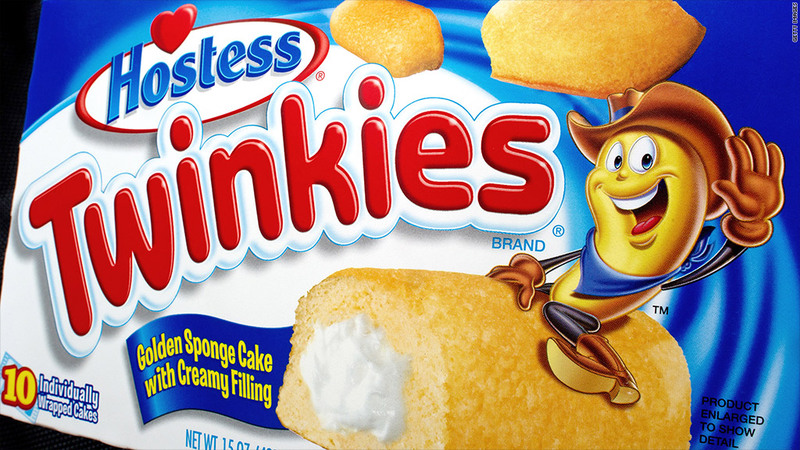 Hostess Brands is in its second trip to bankruptcy court since 2004. Hostess Brands, the maker of Twinkies and Wonder Bread, said Friday that it would seek a court order to force a new contract on one of its unions and stave off its demise. The announcement came after one of the company's major unions, the International Brotherhood of Teamsters, voted narrowly to accept the proposed agreement. The other -- the Bakery, Confectionery, Tobacco Workers and Grain Millers International Union -- rejected it, Hostess said. Hostess now plans to ask a bankruptcy judge to force the bakers' union to accept the new contract, allowing the company to avoid closing its doors and facing liquidation. "Our only option to save Hostess, preserve jobs and avoid liquidation is to amend our labor agreements," Hostess CEO Greg Rayburn said in a statement. Hostess employs roughly 18,500 people. Among the changes the company is seeking with the new agreement are a reduction in its pension obligations and a 17% cut in its contributions to the employees' health care plan, a Hostess spokesman said. Hostess also wants to cut salaries across the company by 8% in the first year of the five-year agreement. Salaries would then bump up 3% in the next three years and 1% in the final year. In exchange, the company is offering concessions including a 25% equity stake for workers and the inclusion of two union representatives on an eight-member board of directors. Teamsters General Secretary-Treasurer Ken Hall called accepting the agreement "a difficult decision." "Our members are frustrated at being in the position to bail out the company again, but overall were willing to accept modifications with the hope that Hostess will recover and be in a better position in the years to come," Hall said in a statement. The bakers' union did not immediately respond to a request for comment. Hostess hopes to have the motion heard in October. Hostess filed for bankruptcy in January, its second trip to bankruptcy court since 2004. Even if it does end up in liquidation, analysts say that some of its most iconic brand names -- Twinkies, Ding Dongs and Wonder Bread, to name a few -- will likely live on, getting scooped up at auction and attached to products from other companies.